This is my go-to coffee cake. It is easy to make, contains few ingredients and never disappoints. The secret ingredient in this basic recipe is the old-school ingredient, Bisquick. Growing up, my mom used Bisquick to make dumplings, which she put in her homemade chicken soup. My older sister reintroduced me to Bisquick several years ago when she began making pancakes with it for her daughter, who has severe food allergies. Bisquick, for those who don’t know, is a pre-mixed baking product made up of flour, shortening, salt, and baking powder sold by General Mills. The back story of Bisquick is actually rather interesting. Bisquick was developed around 1930 after a General Mills executive complimented a chef in a train dining car about his homemade biscuits. Apparently the chef had apparently came up with his own pre-mixed biscuit batter consisting of lard, flour, baking powder and salt. The chef stored this mixture on ice to keep it fresh and allow him to make his biscuits daily as needed. Sadly, it is believed that the General Mills executive took the idea and created Bisquick without crediting the train chef. The original recipe was adapted slightly, adding oil instead of lard and eliminating the need for refrigeration. Bisquick was officially introduced in grocery stores in 1931. I do not use Bisquick often, many chefs would never touch the stuff, but I use it in the topping of this recipe, and it works extremely well. 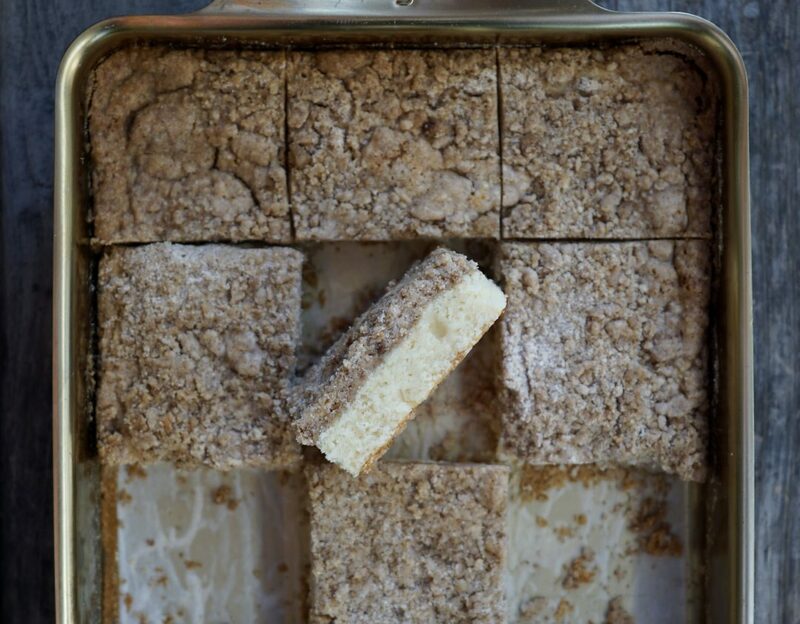 Some people have told me this coffee cake reminds them a little of something I grew up with: Entenmann’s crumb cake, sold in the box with the clear top. Others, here in Silicon Valley, have compared it to the well know Hobees’s coffee cake, minus the blueberries. I’m hoping mine is a bit better than either of those! This cake has the perfect balance: a moist vanilla cake with a sweet, powdery (thanks to Bisquick) brown sugar crumble topping that is then dusted with powdered sugar. 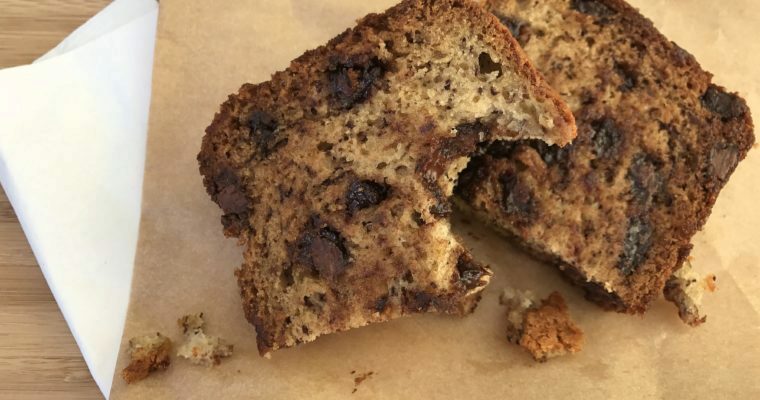 It is not sticky or gooey, nor does it contain nuts, which many coffee cake recipes do. It’s great with coffee or a plain cup of milk. Step 2 Grease a 9 x 13 baking pan and set aside. Step 3 For the crumb topping, place the cubed butter, sugar, Bisquick mix and cinnamon into a medium mixing bowl and mix well with your hands. Set aside. Step 4 In another mixing bowl, combine the flour and baking powder. Step 5 In a mixer, such as a KitchenAid fitted with a paddle attachment, cream the butter and sugar until pale yellow and fluffy. Step 6 Add the eggs one at a time and mix well to incorporate. Step 7 Slowly add the flour mixture and milk alternating. Mix to incorporate. Step 8 Stir in the vanilla. Step 9 Pour the cake batter into the prepared pan and spread out with a spatula. Step 10 Sprinkle the crumb topping evenly over the batter. Step 11 Bake for 30 minutes until a cake tester inserted in the middle comes out clean. Step 12 Cool slightly and using a sifter, sprinkle with powdered sugar. SO love hearing this Tracy! 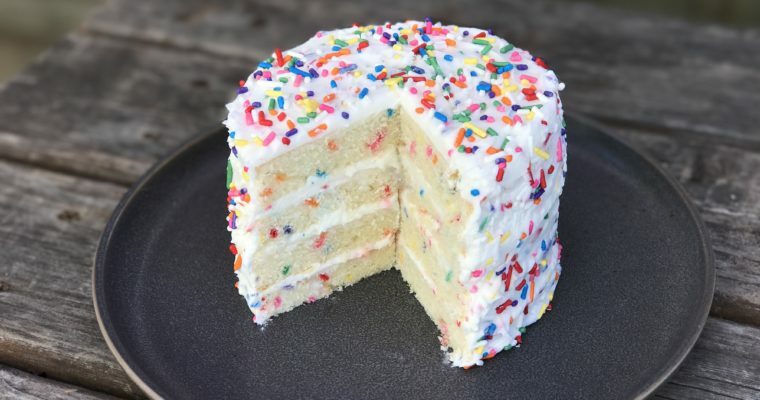 Very happy you liked this recipe and you are right, super easy to make for a bake sale. 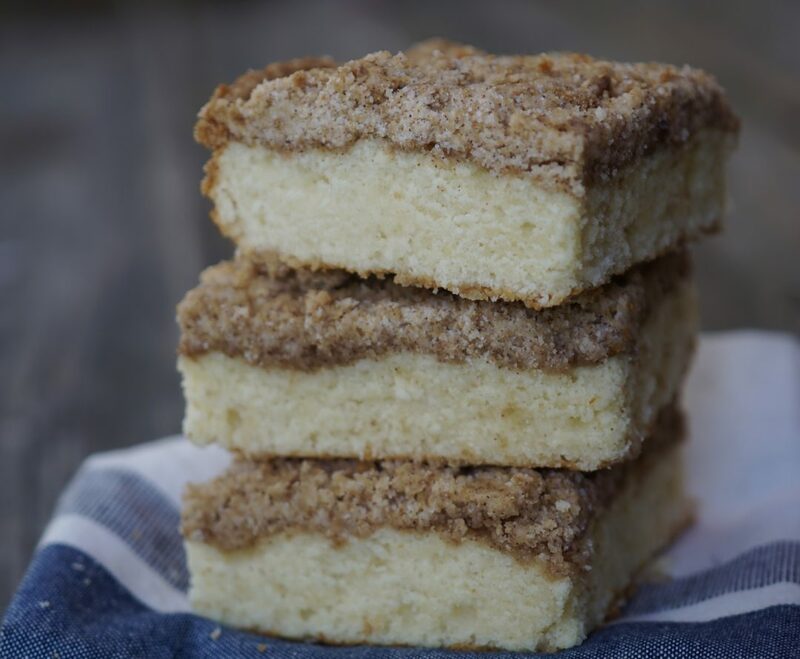 This coffee cake is delicious and SO easy! 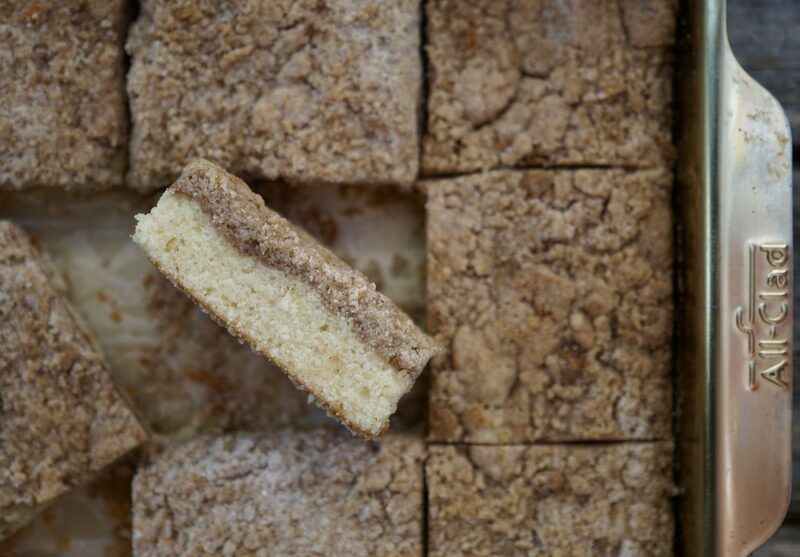 We are a family of coffee cake lovers and this one does not disappoint. In fact my 11 year old daughter walked in the house after the cake came out of the oven and said “I don’t know what that is, but YES”. 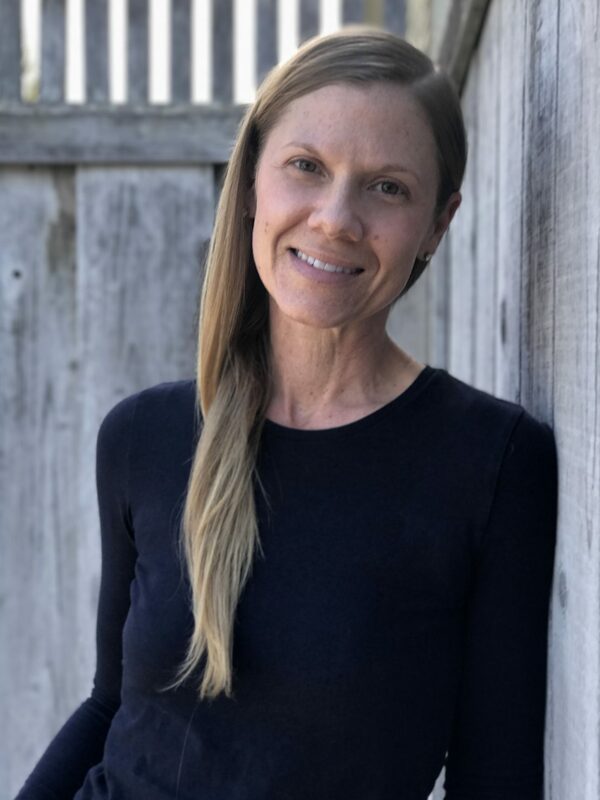 Another perfect hit by Ms. Potischman! You guys are awesome! Love it. Enjoy!